Donate now to support William Penn House's programs of Quaker education, activism, hospitality, and service. Let's build the Peaceable Kingdom together! 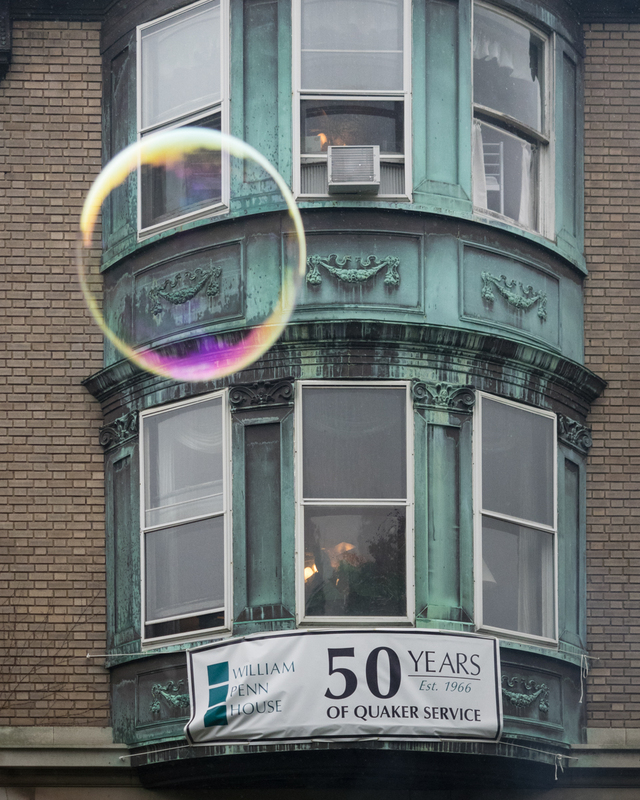 For 50 years, William Penn House has been a leading center for Quaker social justice education, service, and activism. Our educational programs equip participants from all walks of life with a deep, personal understanding of social justice issues and skills for becoming Quaker change agents in their communities. Our hospitality program supports activists and advocates from across the country by providing a welcoming, Quaker space and community to host their activities in DC. We deepen social witness within the Quaker community and share Quaker testimonies well beyond that community. Your generous contribution promotes peace and social justice, spreads Quaker values, and helps make William Penn's vision of the peaceable kingdom a reality. for your good work with service projects. You do important work in DC. We admire and respect your work to build a community of justice and to lift insividuals who are not treated equally by society. So happy to support the work of William Penn House for over 3 decades. Wishing you a Happy New Year!